Had the state kept its share of school funding constant for the past 10 years, voters might not be griping about rising property taxes. The state is spending more than it used to, but it's spending less per student. School property taxes are rising as local school costs increase, while the state gradually decreases its share of public education spending. 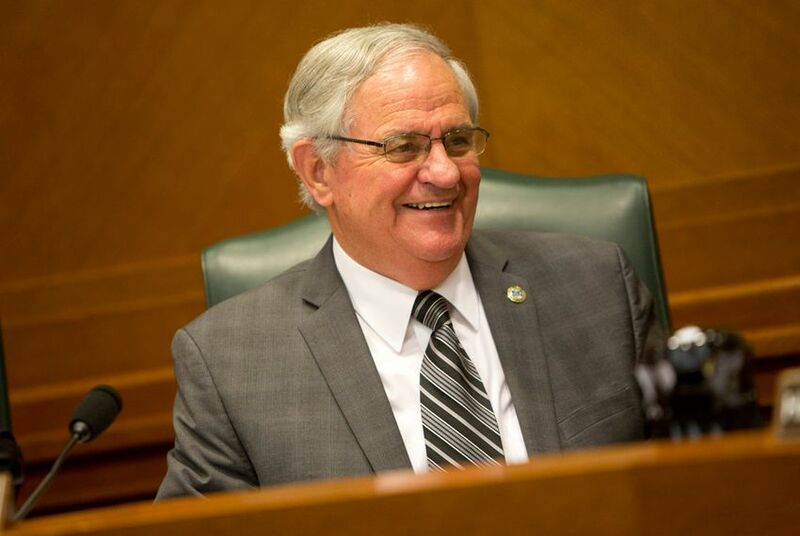 At the same time, according to the outgoing chairman of the Texas House’s Public Education Committee, the Legislature is spending more than $2 billion a year that would have gone to public education on other programs and services in the state budget. State Rep. Jimmie Don Aycock, the Killeen Republican who chairs the House Public Education committee, told a group of school officials from around the state last week that voters want school taxes to go to schools. He suggested the Legislature’s practice in recent years — gradually shifting its share of school funding to local governments that rely on rising property taxes — will eventually come home to roost, especially if those school officials tell their voters about the problem. Maybe. Had the state kept its share of school funding constant for the past 10 years, voters might not be griping about rising property taxes. The state of Texas will spend a projected $40.5 billion on public education during the current 2016-17 budget period, and when state officials tell you they’re spending more on education, they’re telling the truth. Not all of the truth, but some of it. Their spending increases haven’t kept up with the burgeoning number of students. In the 2017 fiscal year, the state is planning to spend $19.6 billion, according to the Legislative Budget Board, up 7.4 percent from the amount they spent 10 years earlier. The average daily attendance in 2017, one way to measure the number of students in public schools, will reach 5.04 million, an increase of 16.8 percent over the 4.3 million in Texas classrooms 10 years earlier. This isn’t a brainteaser: The population has been rising faster than state spending. Texas is spending more, but not keeping pace. Local and federal spending increases have covered the difference. Public school districts are on track to spend $26.2 billion in 2017, up 44.2 percent from 2008. Federal spending rose 22.2 percent to $5.1 billion. School boards set property taxes and get the blame for it — even when those increases are forced by the Legislature’s steadily declining financial support for public education. On a per-student basis, local spending rose $990.21 over those 10 years, state spending fell $339 and federal spending rose $45.06. The state is spending more than it was overall, but it’s spending less per pupil. Some of that is attributable to pure good fortune. The state has done well, economically speaking, and growth in property values — both from new development and rising prices — has boosted property tax bases all over Texas. That made it relatively easy for property-tax dependent school districts and local governments to grow with the economy, and for the state government to divert money it would have spent on schools to other areas. State officials offloaded one of their biggest financial problems and one of their biggest potential political problems at the same time. Try this exercise. Don’t fool with the overall cost of public education in each of those 10 years — leave that number alone — but keep the state’s overall share of 44.9 percent in place the whole time. State government would have spent $18.6 billion more than it did on public education over the past 10 years. Local school districts paid 44.8 percent of the total in 2008 and are on track to carry 51.5 percent in 2017. Had the burdens remained constant, local school districts would have spent $11.6 billion less over that decade. For the second session in a row, state Rep. Donna Howard, D-Austin, has pre-filed a proposed constitutional amendment that would require the state to keep its share of public school spending at 50 percent or higher. Pinch yourself — that would cut $10.3 billion from what the school districts and their property taxpayers are spending in the current budget, but it would cost the state government — fueled by sales and other taxes — the same amount. That’s back-of-the-envelope math, but you get the idea. If the state agreed, as Howard has proposed, to cover even more of the cost of public education local schools could spend less. They’d be able to lower property taxes by a sizeable, politically significant amount. Legislators would be on the hook for education support they have been foisting off on local school boards. It’s an accountability thing. School boards set property taxes and get the blame for it — even when those increases are forced by the Legislature’s steadily declining financial support for public education. Legislators, on the other hand, have an easy political ride: They get to stand with the voters who want lower property taxes, pretending the local officials are the ones at fault. Who’d want to give up a political deal like that one? It's hard to get property tax relief out of a state government that does not levy a property tax. But it's tempting turf for politicians in Texas, and they're going to try again when they meet in January. If they were only listening to voters, Texas Republican lawmakers could cast stress-free votes on a proposed bathroom bill. That's also true if they were only listening to businesses. But voters and businesses don't want the same thing. Changes in federal policy during the coming Trump administration could mean big changes in state policy in Texas. But it's probably going to take some time.